No Teeth Wither EP Released Today, Launch Party TONIGHT @THINK TANK? ! release the EP can be found on Spotify, Apple Music, Google Play and Deezer. 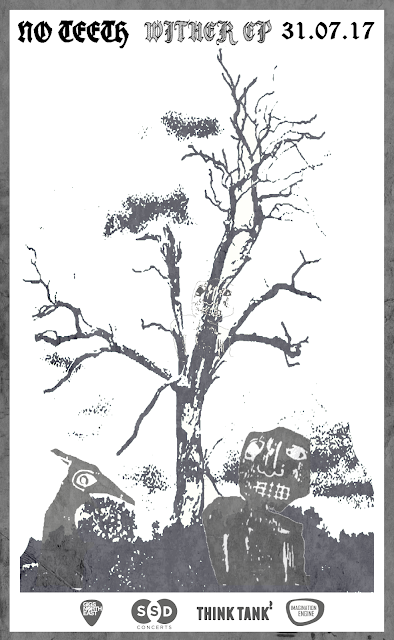 The two formats of physical release include a series of fifteen limited edition cassettes, each of which features black withered spines hand painted on white shells. A crystal clear cassette case, double sided negative sleeves featuring artwork by the band and photo by Johnny Haynes, digital download card, exclusive insert and Imagination Engine records label sticker. The CD version is part of a series of twenty five limited edition compact discs each of which features black withered spine effect hand painted on the disc face, full printed sleeves featuring artwork by the band, digital download card, exclusive insert and Imagination Engine records label sticker. Due to a problem with a courier there wont be physical copies available at tonight's launch party. The official video for ‘Wither’, the title track from the EP, is being produced by multimedia artist Lisa Boardman by way of exclusive commission for the band. The video draws inspiration from the EP tracks and is entwined around a dark spindly and withered centrl theme. The video will be online very soon and even sooner than that Imagination Engine, along with SSD Concerts and Gigs North East, host the Wither EP launch party at THINK TANK? from 19:00 TONIGHT (2 Times Square, Scotswood Rd, Newcastle upon Tyne. NE1 4NE). On the bill with No Teeth will be Swine Tax and Japanese TV Club see the Facebook event page for tickets and more details. Warm up for tonights gig with a Spotify playlist curated by the band themselves here, or by streaming the EP from the label Soundcloud page below. 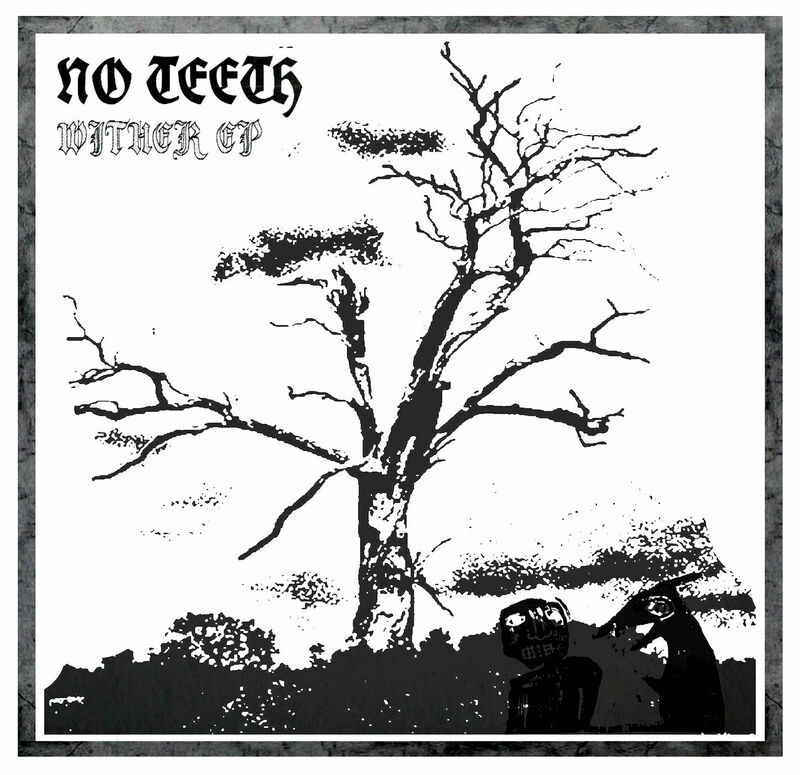 No Teeth to Release 'Wither' EP on Imagination Engine. Announcing EP Launch Party, Limited Edition Physical Formats and Pre-orders too..
Tyneside Doom-pop trio No Teeth release new EP ‘Wither’ through Imagination Engine on Monday 31st July (2017). This debut release on the new label from No Teeth is a theatrical, David Lynch Drive-in movie of dark Garage/Soul bathed in a deep crimson Grunge/Funk. Guitarist and lead singer Sam Spencer-Whitbread’s fusion of satirical, imaginative lyrics and catchy, quirky, pop choruses are refreshingly experimental endeavours. Delving deep into diverse subject matter that stimulates the visual cortex to provoke, bemuse and intrigue. Owen Armstrong lays down beats like Portishead’s Deemer or Beastie Boys Mike D, in that ‘Time for Livin’ / ‘Sabotage era. Arron Robinson brings a throbbing Bass which grooves like a nonchalant Novoseilic, sizzling underneath the noise like Kim Gordons sonic snarl. Filthy Funk with Punk peaks. 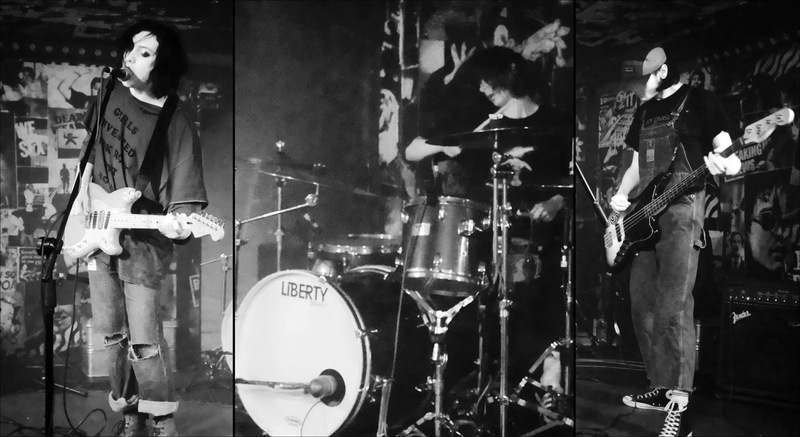 This rhythm section of Owen and Arron when forged with Sam’s guitar and vocal, craft a sound like The Black Angels met ‘Bleach’ era Nirvana, were glazed in Ty Seagall and blazed over a Soundgardens’ worth. ‘Wither’ is a five track EP of rhythmic, raw, surf’s up rock that spirals ritualistically through smoked southern blues, melting into a macabre, mercurial psychedelia. The playfully intolerant ‘Mother’ is a specially recorded version of a No Teeth classic exclusively reworked for this release. Where the B-movie horror of ‘Costume Party’, stomping end of night encore ‘Wither’, Tankard clank and swagger of ‘She’s Lizard’ and the acidic disintegration that despairs inside murderous closer ‘Serotonin’ are all brand new tracks. 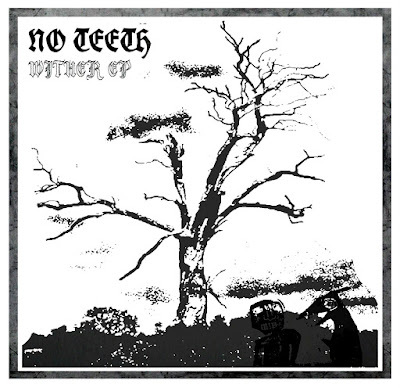 The No Teeth – Wither EP is available to pre-order now via the labels Bandcamp page. The pre-order gives an immediate digital download of ‘Mother (Wither Version) from the EP on ordering the physical or digital release. 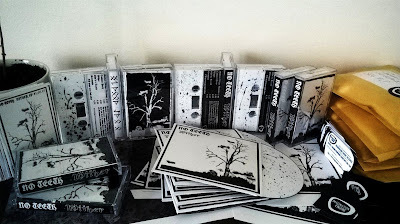 The two formats of physical release include a series of fifteen limited edition cassettes, each of which features black withered spines hand painted on white shells. A crystal clear cassette case, double sided negative sleeves featuring artwork by the band and photo by Johnny Haynes, digital download card, exclusive insert and Imagination Engine records label sticker. The CD version is part of a series of twenty five limited edition compact discs each of which features black withered spines printed on the disc face, full printed sleeves featuring artwork by the band and photo by Johnny Haynes, digital download card, exclusive insert and Imagination Engine records label sticker. The official video for ‘Wither’ the title track from the EP, is being produced by multimedia artist Lisa Boardman by way of exclusive commission for the band. Imagination Engine, along with SSD Concerts and Gigs North East, host the Wither EP launch party at THINK TANK? from 19:00 on Monday 31st July (2017) 2 Times Square, Scotswood Rd, Newcastle upon Tyne. NE1 4NE. 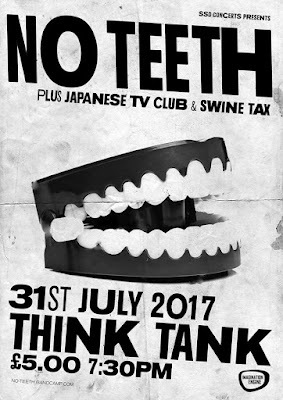 On the bill with No Teeth will be Swine Tax and Japanese TV Club see the Facebook event page for tickets and more details. “A brooding, almost menacing slice of alt rock” - Backseat Mafia review Sorry Escalator. “Out now on Imagination Engine Records, the Leeds label specialising in limited Cassette releases, comes a two track EP from Middlesbrough quartet Sorry Escalator. Opener Generation Winter is this brooding, almost menacing slice of alt rock. Built on this edgy post punk verse, it flowers into something more straightforward and melodic as it hits the chorus, allowing the guitars to splash all over you, before it regains its control and the guitar and bassline trade off their angular lines. Follow on Street Corner Absurdity is a slower, messier affair, with swirling MBV like guitars to the fore, gazes firmly set to shoes. It’s gloriously messy and unhurried”. We are very pleased to reveal that the esteemed outlet Norman Records are now stocking our first cassette single. Making it a little easier to access, order and receive internationally than ever before. You can pick up your limited-edition cassette of the Sorry Escalator’s double A side ‘Generation Winter / Street Corner Absurdity’ from the Norman Records website NOW. 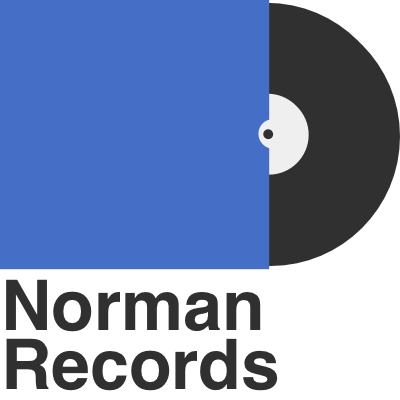 The one and only Norman Records are a friendly and knowledgeable team of enthusiasts and experts, often one and the same. 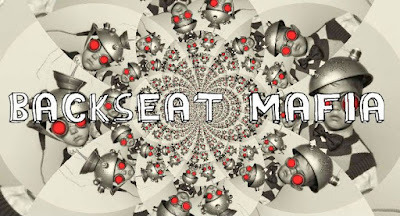 Regaled purveyors of hard-to-find indie, alternative, experimental music and more. The renowned UK store specialising in sought after physical releases, be they on vinyl, cd or cassette. Have our debut release in stock and available to order. We’re very pleased that Norman records have described the band’s debut on Imagination Engine as having an unapologetic and “no-compromise approach in creating danceable-yet-twisted indie melodies”. Nice.